Wellingborough has been named the most affordable commuter town in the country in a report out today. 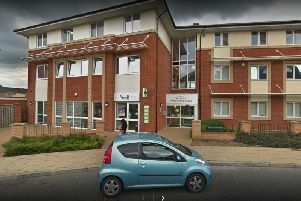 According to the Lloyds Bank survey, Wellingborough offers the best deal for commuting to London when looking at the difference between average house prices, cost and time of commuting, and annual salaries. Wellingborough Council has welcomed the news. Council leader Paul Bell said: “This is obviously good news. We are proud of our strong transport links, and the fact that you can be in London in less than an hour is a real selling point for our borough. “However, we don’t want to give the impression that Wellingborough is a dormitory town, full of people taking advantage of lower house prices and then getting on a train each morning to go to a job somewhere else. “Our town has a lot to offer and residents still benefit from that whether they relocate here from London or have always lived here and have started to commute. “This isn’t just about lower house prices. “You also get to be part of a truly welcoming town, surrounded by beautiful countryside. “What we’re finding with commuters is that we will have one partner travelling to London, while the other works locally. “The children go to local schools and the families become part of our communities. The council also pointed out that plans for more housing and employment in the town were gathering pace, especially with the start of work on the £500 million Stanton Cross development next to the train station. Cllr Bell added: “There are a lot of opportunities for people that live in Wellingborough. “Stanton Cross will bring more than 3,000 new homes and around 7,500 new jobs to our town. “We know that the proximity to London will help the development, and we would obviously like to encourage people to move here. The Lloyds Bank report states that the average house price in Wellingborough is £160,245, whereas in central London buyers can expect to pay up to £722,000. The average London salary is just under £47,000, meaning that people choosing to live in Wellingborough and commute to London can buy a house for just 3.4 times their average annual earnings. Kettering was next on the list of most affordable commuter towns, followed by Peterborough, Chatham in Kent, Luton and then Basildon in Essex.